Ronda Rousey has experienced a sudden fall. The once dominant UFC bantamweight champion has lost her last two meetings via the KO / TKO and her future in MMA is uncertain. After being brutally knocked out with a head kick from Holly Holm at UFC 193(November 2015), Rousey walked away for most of 2016. Ronda stopped being the center of attention now that she no longer had the belt around his waist, but had his return to the Octagon on December 30, 2016 at UFC 207, with an immediate chance to win the title against the current 135-pound Champion, Amanda Nunes. Unfortunately for Ronda, it was finished by Amanda in just 48 seconds of the start of the match. 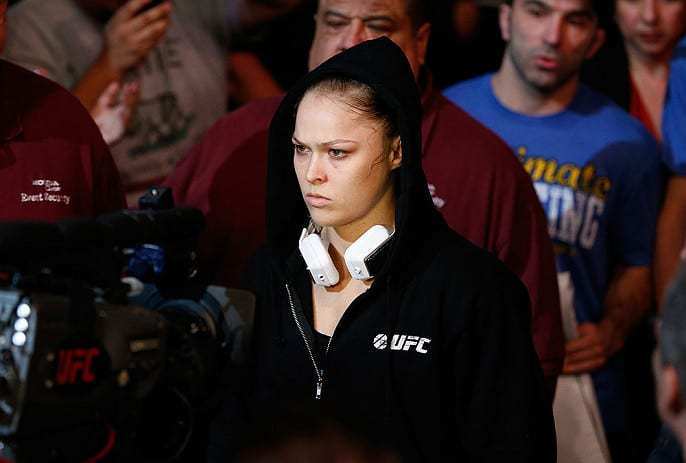 Due to her losing streak and the fact that she has stayed away from the media – something unusual for a star of her stature – Rousey has received a lot of criticism. Although some of those criticisms may be well founded, it is certain that the fans are minimizing the previous achievements of Ronda. That said, let’s stop talking trash about ‘Rowdy’ and let’s take a look at his 5 best moments in the MMA cage. Round Rousey made his bantamweight debut with a starting chance against Strikeforce bantamweight champion Miesha ‘Cupcake’ Tate in Strikeforce: Tate vs. Rousey, event that took place in March 2012. After having scored 4 wins online by way of the arm lever, Rousey was put in a stellar fight against an opponent with whom he has a strong rivalry, and with a belt in play. Ronda got the most out of this opportunity by finishing Miesha with a crowbar in the first round. Rousey even broke Tate’s arm. ‘Rowdy’ established herself as a legitimate force, and then defended the Strikeforce title by submitting Sarah Kaufman. When the president of the UFC, Dana White, announced that Ronda had signed with its promoter and that a female bantamweight division would be inaugurated in 2012, the reactions were diverse. Rousey not only signed with the UFC, but was also named the inaugural 135-pound champion, and would have to enter the Octagon in February 2013 to face Liz Carmouchein the stellar UFC 157. For the first time in the history of the Ultimate Fighting Championship, two women were going to lead a card, and as it had done many times before, Ronda shone. After surviving a rear-naked choke, Rousey fitted an arm lever and finished his opponent in the first round. ‘Rowdy’ opened the eyes of many, and this triumph marked the beginning of his reign in the UFC. Before UFC 170 – event that took place in February 2014 – Ronda had gone over her opponents using the skills that led her to be an Olympic Judo medalist. But UFC 170 was interesting because Rousey would have to face the Olympic fighter, Sara McMann. McMann won a silver medal in Wrestling at the 2004 Olympics, so the UFC 170’s main bout would have two top level grapplers. Many wondered if Rousey would be able to knock Sara down, and if he did, they doubted he would be able to keep her on the canvas for long. There was also doubt about whether McMann would also try to knock Ronda down. When the door of the cage was closed, ‘Rowdy’ showed a new skill, and hurt McMann with a perfectly connected knee to the body in the first round, Sara fell and the referee stopped the fight. After defeating Sara McMann, Rousey’s new opponent would be Alexis Davis, and both would have to face off at UFC 175 on July 5, 2014. Ronda did not waste any time and hurt Davis with the first shots he threw. Then he executed a beautiful Judo throw, and proceeded to end the match with a wave of punches while controlling Alexis on the canvas. Rousey did not leave another alternative to the referee to end the game, and in the meantime secured another impressive win and perhaps one of the most remarkable victories of his career in the UFC. 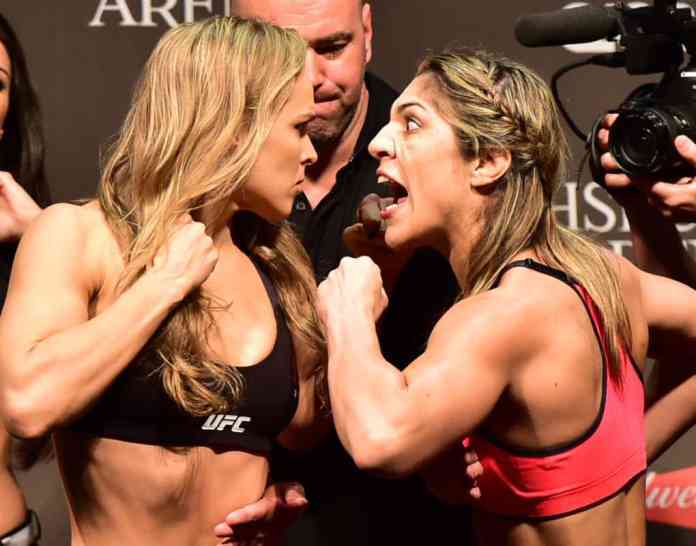 At UFC 190 on August 1, 2015, Ronda Rousey put his title in play against the Brazilian contender, Bethe Correia. The two became rivals before the fight because Bethe attacked with some pretty strong comments. Correia took every opportunity to talk as much trash as possible, and Ronda took it personally, although she did not let Correia’s words take her out of the box. On the night of the fight, Rousey went after Correia and sent her to the canvas after connecting a brutal right hand, and ‘Rowdy’ scored the victory in just 34 seconds of the match started. All the judoka needed was a perfectly connected fist, and to make it even more impressive, Ronda was victorious at the house in Bethe, Brazil, where Ronda was applauded. Although it is clear that the last two fights exposed the flaws of his mental and physical game, it is vital to remember Rousey’s achievements before UFC 193. True, the last two matches affected his legacy, but the past can not be erased, and Ronda’s victories are very remarkable. When reviewing the career of any fighter, both good and bad times should be considered, and your place as a female MMA pioneer will never be forgotten, no matter that we never see her again entering the Octagon. And if she does, let’s hope she is honest with herself to make the necessary changes in order to compete in a sport that evolves as fast as MMA is.